The 2 Volume Set includes Two Years of Free Online Access to sortable ranking tables on the Grey House Online platform, plus a link to this content can be added to your Salem Press landing page. To expand our available city choices, selection is not limited to incorporated cities and villages, but includes towns and townships. This availed us many top-rated communities not designated as cities. Final selection was based on our unique rating system, using six key criteria: population growth, income, housing affordability, crime rate, educational attainment, and unemployment. The city rankings for each of the 130 city chapters now compromise information from hundreds of books, magazines, newspapers and research reports. Interesting "top-city" rankings include...Best Cities for Real Estate Investment, Best Cities for Successful Aging, and Best Cities for Asthma Sufferers. You'll also learn which cities are the most Allergy Prone, Literate, and Safe. New Topics include Home Value Distribution and Segregation. Expanded topic: Recreational Marijuana Tax added to Various State Sales and Excise Tax Rates. 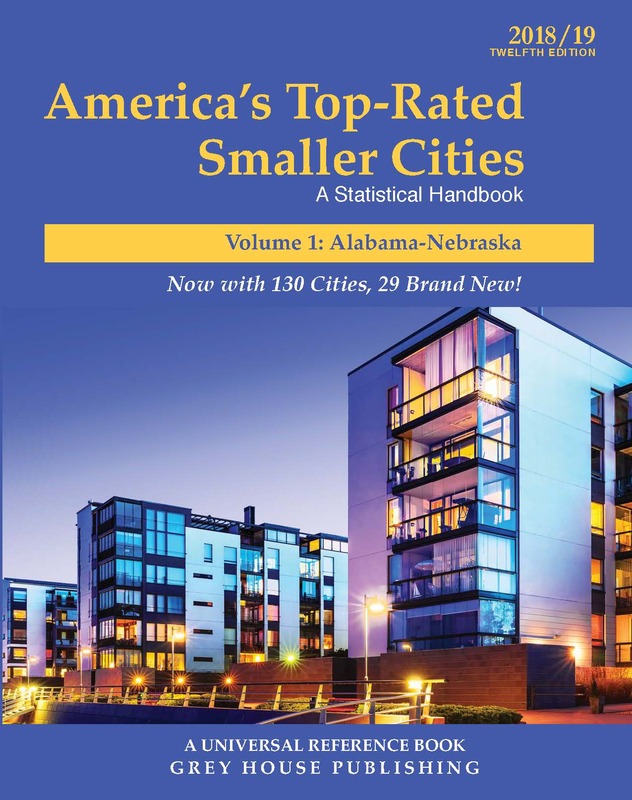 America's Top-Rated Smaller Cities is arranged in two volumes-Volume 1 has 65 city chapters, Alabama to Nebraska, and Volume 2 also has 65 city chapters, Nevada to Wyoming. Each city chapter is divided into three section: Background & Rankings; Business Environment; and Living Environment. Both volumes include 100 Honorable Mention Cities, five Maps that indicate the location of each of the 130 cities, and five Appendices, with comparative rankings and resource information on all cities. City Background: Each of the 130 city chapters begins with an informative background. These combine history with current events, and touch on the city's environment, politics, employment, and cultural offerings, along with some interesting trivia. Rankings: This section has 17 ranking categories, including Business/Finance, Health, Women/Minorities, Retirement, Family, Safety, Sports/Recreation, and Dating/Romance. It contains data from 257 books, articles, and research reports, and is presented in an easy-to-read, bulleted format. You'll find rankings-and several scores and figures-on a wide variety of topics, such as Best Places for Business and Careers, Fastest-Growing Cities, Cleanest Metro Areas, Most Affordable Cities, Fittest Cities, Most Educational Cities, and hundreds more. Business Enviroment-Statistical Tables: Each city chapter includes 39 tables with business related data for seven topics. Over 95% of statistical data has been updated. Here is where you will find hard facts and figures on city finances, population demographics, income, bankruptcy rates, employment, and taxes. Living Environment- Statistical Tables: The business tables are followed by 42 tables with data related to nine living environment topics. These include information on housing, healthcare, cost-of-living, education, air quality, and climate. 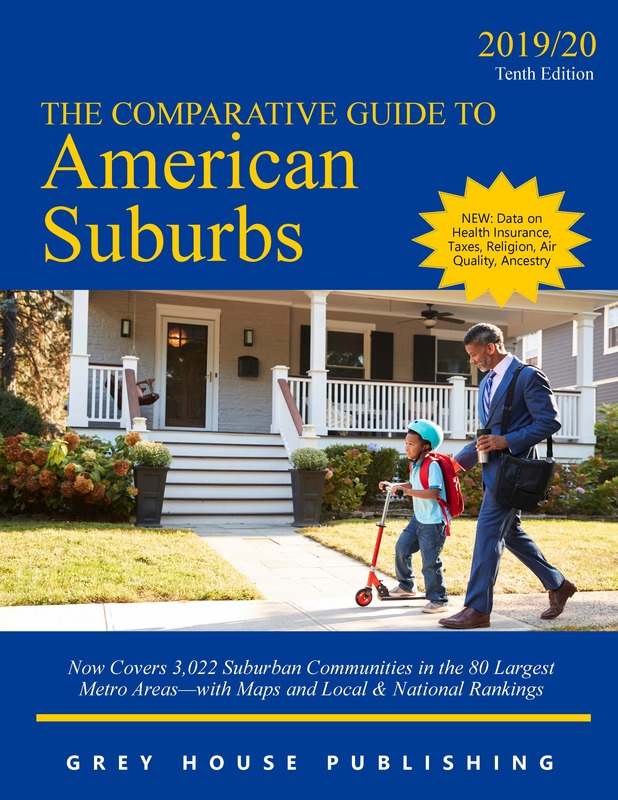 A- Comparative Statistics: A city-by-city comparison of hundreds of variables spread out over 77 tables that offers both an overview of the city, and a broader geographical profile. B- Metropolitan Area Definitions: In straight alpha-by-city order, this includes the counties/cities that combine to form each city's Metropolitan Statistical Area, Micropolitan Statistical Area, Metropolitan Division, New England City and Town Area, and New England City and Town Area Division. 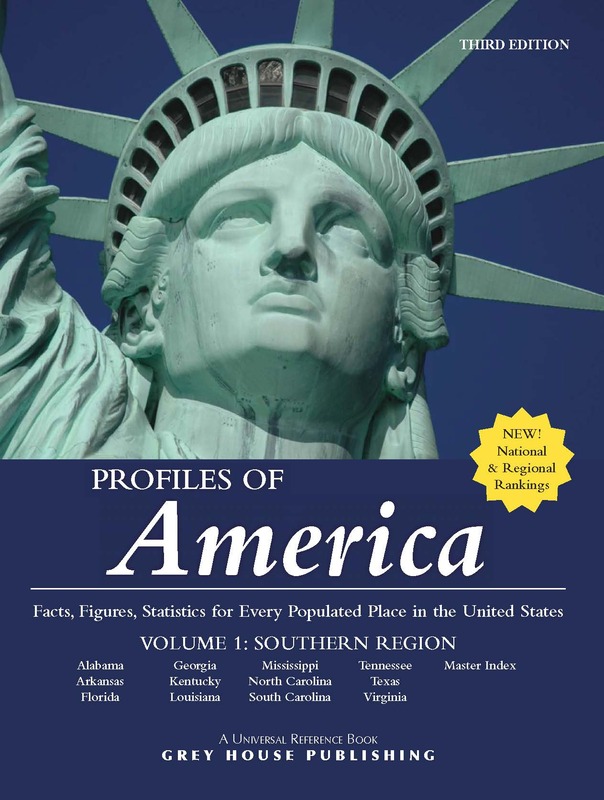 C- Government Type & Primary County: This appendix includes the government structure of each place included in this book. It also includes the county or county equivalent in which each place is located. D- Chamber of Commerce: Alpha-by-city, includes address, phone and fax numbers, and websites of additional city resources. E- State Departments of Labor: Another source for additional economic and employment data for each city, with addresses and phone numbers for easy access. 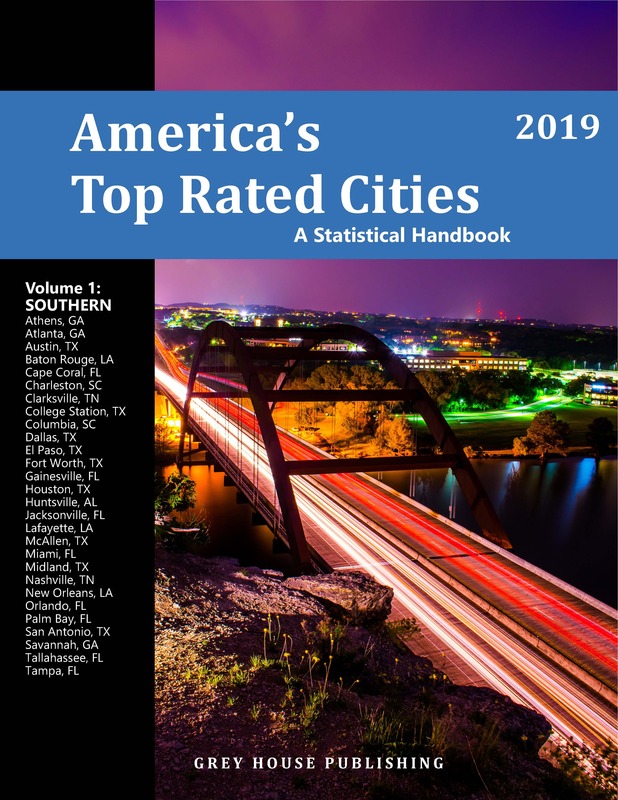 America's Top-Rated Smaller Cities offers a reliable, one-stop source for statistical data that, before now, could only be found scattered in hundreds of sources. This outstanding source of information will widely be used in any reference collection. Get FREE ONLINE ACCESS With Your Print Purchase! Print purchase includes free online access to hundreds of sortable, comparative ranking charts online. With this feature, multiple users can research data and statistics on small cities within our nation in in one easy-to-use online format. Includes Free Online Access for Two Years.